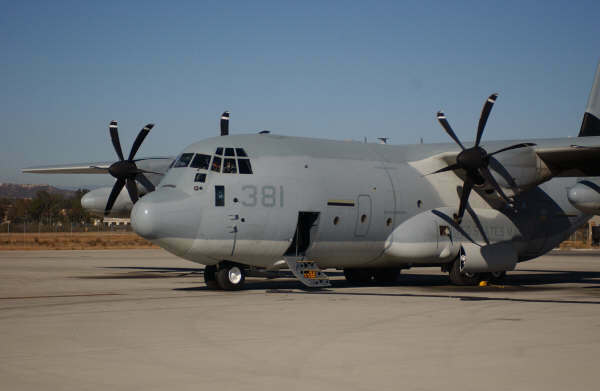 The KC-130 is the tanker version from the original C-130 Hercules. 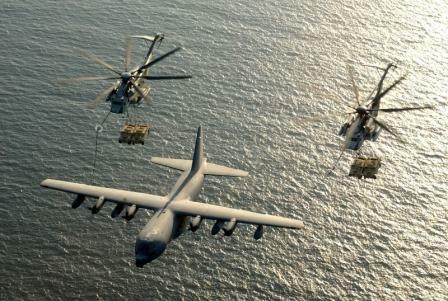 The United States Marine Corps (USMC) has 75 KC-130 tanker aircraft (37 KC-130F, 14 KC-130R and 24 KC-130T). These airplanes will be replaced by the new KC-130J Super Hercules. The USMC has ordered 51 airplanes where of now (april 2005) 15 have been delivered and they look forward to receive the last one in 2013. 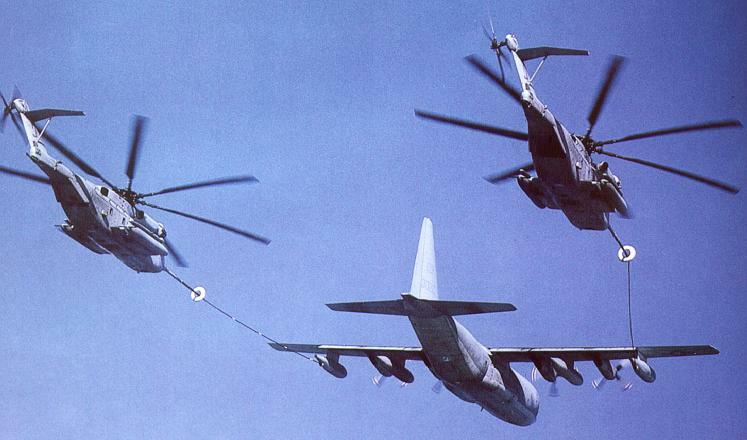 Till that time the USMC keeps using the old KC-130 airplanes. The 12 best airplanes have already received new self-protection equipment: a APR-39(V)2 radar warning receiver, a AAR-47 missile warning system, a ALQ-157 jamming system and ALE-39 chaff/flares. 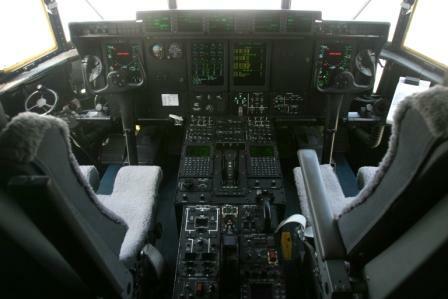 This will also be added and a avionics update in de 24 KC-130T's which have been delivered in the 90ths. 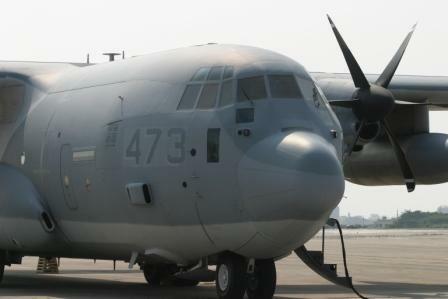 From the outside the KC-130J is almost the same like the KC-130F but inside it's totally different. Most remarkable are the 6-blade Dowty Aerospace AE2100D3 propellers. These new propellers give 29% more power, use 15% less fuel, have 35% more fly range than the 4-blade engines in the standard C-130 Hercules. 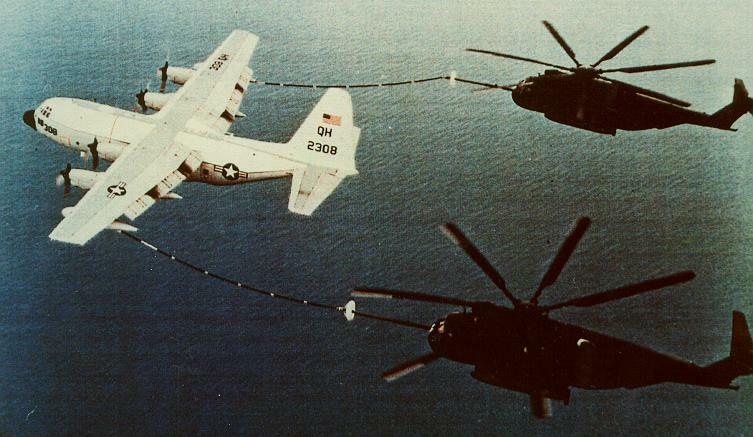 The KC-130J can give refueling to other airplanes at a higher height than the old KC-130F. It can give 57.500 pound fuel in the air and 4.100 pound per minute on the ground. Cause the KC-130J can give fuel at a higher height, tactical fighter jets are less vulnerable for enemy forces on the ground.